Once you get an approved google adsense, the next thing that comes to your mind is how to increase or maximize your adsense earning or revenue. There are many factors which affect your Adsense income. These include ad placement, ad type, traffic source and most important, AdSense CPC. In this post, I will reveal seven proven strategies that will help you to increase your adsense revenue. You will also learn some areas on your blog to put your ad banners for better conversion and how to use the heatmap tools to increase your ad revenue! How much does Google AdSense pay for 1000 impressions? How can I make money with Google AdSense? How can I increase AdSense rpm? There are many ways to increase your adsense revenue. But you should be very careful when choosing the tips to apply on your google adsense account because Google AdSense has strict policies pertaining to certain actions. Ensure you have read and understood their policies. Violation of adsense policies leads to suspension for one month or even permanent blocking of your adsense account. Before I reveal these seven adsense earning boosting tips, I will like to explain some terms often used when talking about affiliate marketing. Some of these terms are Impression, CPM (Cost Per Thousand) Impression, CPC (Cost Per Click), CTR (Click Through Rate), etc. You will also see these terms once you login to your google adsense account. an ad in that page, the CTR of that ad will be 10/1000 = 0.01. CTR can be used to gauge how well your keywords and ads are performing. CPM refers to the amount an advertiser agrees to pay per 1000 impression (i.e. when his ad is served 1000 times to different websites or pages). For example, an advertiser may agree to pay $5 per 1000 impression. The "M" in CPM is a roman figure for 1000. An ad with high CPM converts well. This refers to the amount an advertiser agrees to pay when a page visitor clicks on his advert. An ad with high CPC also converts well. So in general, you should target ads with high CPC, CPM and also reduce the number of ad units on a page in order to increase the CTR of the ads that are being served to the page. ==> Deceiving your visitors to click your ads by placing your ads next to post images or using some call to action phrases like “Click Here” to direct clicks to your ads. ==> Clicking on your own ads. ==> Paying or bribing your visitors to click your ads. Note that Ad networks are not the only ways to make money online. You can also make cool cash by writing and publishing books on platforms like Amazon and CreateSpace. In one of my tutorial articles, I explained How to Setup and Publish your Book on Amazon. Having been acquainted with these Google Adsense DON'Ts, let me now reveal these seven awesome ways to increase your adsense revenue. Always bear in mind that you must have to experiment different strategies until you find out the one that yields the highest returns. I always tell you that it pays to write quality contents or posts! Always remember that Google Adsense is a contextual ad network that works based on the content and context of your page or article. Your blog or website can only attract high paying Cost Per Click (CPC) Ads if your blog have their keywords. So always do a keyword research and find out the keywords of high CPC ads in your niche. This will boost your adsense revenue. There are some keyword research tools available like keyword samurai, etc. Use several keyword research tools and compare their results. A visitor will be able to notice your ads if your article contents are engaging. This makes them more likely to click, and you more likely to earn more money from your audience. And the only way to write engaging articles is to write quality articles. I described the attributes of a quality content in my previous post. Always some high ranking blogs in your niche and see how they arrange their articles. But don’t follow their ideas strictly because some ideas that work for them might not work for you. There is an established fact that that the number of visitors is directly proportional to the amount you earn from your ads! This is because less number of page views results to lower chance of getting clicks hence low earning Traffic is the main key of getting success from any ad network including google adsense. Some sites still get high traffic but still earn less. Another thing to consider is the source of your site traffic. The highest paying source of traffic is organic traffic followed by traffics from social media like Facebook, Twitter, Google Plus, Disque, etc. Avoid illegal traffic sources! Another strategy I use to increase my site’s CPC is to target traffic from countries like the U.S.A and the U.K, and the easiest way to get high traffic from these countries is through social media guest posting and backlinks from similar sites. This strategy will increase your adsense earning approximately up to 40%. Another awesome strategy I discovered recently which yields dual result is Google Adword and facebook Ads. The first time I tried google adword, it increased both my site traffic and adsense earning by 30% and even boosted my alexa rank. Next time, I tried running both google adword and facebook the same week and my adsense and traffic increased by 50%. Try it out yourself! Another established fact is that ad sizes with high width to length ratio (wider ads) perform better than those with low width to length ratio! This is because wider ads are more reader-friendly because of the fact that they allow readers to read more without having to skip lines as frequently and eventually yields a higher click rate. But recently Google adsense recommends Responsive Ads because they produce the best user experience. Some people suggest that image ads work better than text ads. I have tried creating both types of ads and have found out that this is never true. By blocking an ad type, you decrease the competition on your ad, and this also decreases the CPM of your ads. I advise you to use both ad types. Another awesome ad type that converts well are link-based ads (link ads). Some people argue that the decrease CTR of other Ad types if used together with them. But that is not true! They don’t decrease the CTR of main ads if optimized properly. They yield better returns if placed on the upper parts of your post contents. Always continue try experiment other ad sizes to find out the one that best works for you! This strategy usually needs a lot of experiment and results vary from niche to niche. The main point is to place your ads where they are most likely to be seen and clicked by your site visitors. But make sure that your adsense placement technique does not go against google adsense placement policy like placing ads before and after your site inbound links or placing ads very close to images. Never use any technique that will persuade or deceive your visitors to click your ads, else your adsense account will be banned. Always try to figure out where your site visitors always concentrate when they visit or read your articles or what attracts their attention most in your website. If your website has a very lively social media, then add an ad near your social media or share buttons, but don’t trick them to click these ads. Always make your ads a bit outstanding for your visitors to notice them but try to blend your ad colours to match your website theme colours especially text and background colours. Another strategy that can help you double your adsense earning is to put ads in between post contents. Some positions that converts very well are: After post title, first and post paragraphs, middle of post. Placement of ads at the end of posts also performs well especially if you have active share buttons very close. Also use themes or templates that allow you to add ads beside your site banner (at the header section). In general, place most of your ads at the upper parts of your pages because it eliminates the possibility of losing clicks simply because users never scrolled down. Put only one or two ads further down your page. This strategy can increase your adsense earning up to 35%. Some blog sections that attract more clicks and conversions are side bar, first paragraph, beside sit banner. Experiment them! Many bloggers and webmasters don’t implement this strategy! Creating a channel and enabling placement targeting for your ads is a form of advertisement for your ads spaces because you have the option to add more details about your ad types, and then put your ad up for auction in the market by opting for placement targeting. This increases the competition, and the ad value on your site goes up. You can enable placement targeting in the course of creating a custom channel for an ad unit and this must be enabled. 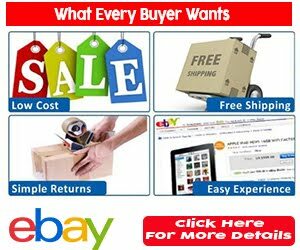 ==> Click My ads > Custom > Custom Channels. Then, click on one of the names of your ad units and a screen will pop up. Simply add the details and put a checkmark at placement targeting. Youtube Adsense is another way I use to increase my adsense earnings on my. 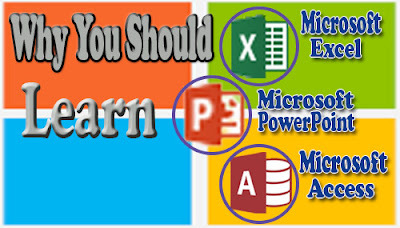 Check out my youtube channel (Microsoft Tutorials). It increases my adsense earning by 15%. You can monetize your copyrighted youtube videos as a video publisher. Youtube adsense also has high CPC especially if your videos generate a lot of views per day. You can apply for youtube adsense with the same email address you used toyou’re your your blog adsense. Your youtube adsense earning will not show up until your blog adsense earning reaches the minimum payout which is usually $100, then the youtube video adsense earning will be paid together with your blog adsense. But if you only have a youtube adsense connected to an email address, your earnings will always show up when you login to your adsense account. I personally implemented this strategy in my blog by blocking ads and URLs that are in no way relevant to my blog niche especially those that have good impression percentage but a very low earnings percentage. In the new Adsense interface, the category blocking feature has become much easier to use. You can quickly see which categories of ads are performing poorly, and you can block those categories. Some webmasters report that blocking some ad categories reduce their page RPM and that does not work for them, but it works for me! You can also give it a try. It may also work for you! This can quickly be configured through your allow and block ads page. Google adsense also allows you to block the URL of advertisers that you don’t appreciate their pay per click. When you block these URLs, ads from them stops showing on your site. This works well for those that have set ad placement targeting for their ads. Heatmaps help you to know the sections of your blog that attract your website visitors. Knowing the areas whwere your visitors spend most of time in your site will help you know the best places to put your Ad banners for a better. CPC and CTR. Once you see exactly how people use your site, it's a lot easier to make changes that immediately impact your visitors. That means more engagement, more conversions, and more revenue. Heatmap tools are more efficient than google analytics tool because it helps you see your data without having to dig through numbers and endless reports. Most analytics tools are overly complicated with rows upon rows of data. Pulling insights out isn't easy. With a heatmap, you don't have to worry about that, it's data you can see. To use heatmap tools, you need to create a a snapshot of your site with the help of the heatmap tool and then it analyzes your website and shows you the areas on your blog that attract your visitors. There are many recommended online heatmap tools for websites, blogger and wordpress blogs that you can use although some have free trial period with premium versions. Some of these heatmap tools are crazyegg, hotjar, mockingfish, etc. I personally use crazy egg heatmap tool. It is awesome! It allows you create and manage multiple snapshots with ease and you can try it for free for 30 days. You may also consider utilizing social media marketing. Sherpa Marketing explained social media marketing tips. These are the seven simple strategies that I have implemented that really increased my google adsense earning. You may also share some of your strategies that yielded positive results on your earning in the comment box below. Also share these article with your friends by clicking any of the share buttons below. Do you need another high paying Adsense Alternative? Check out these five latest high paying Ad networks. Also click Here to subscribe for free so that you will get our latest post updates in your email. I have learn a lot from this blog. I will stick to the adsense rules. Great post here. Nice strategy to boost earning.